Voters in St. Louis will be heading out to the polls to decide on a half-cent tax increase. If it passes that would mean a raise for the city’s police and firefighters. According to a story from St. Louis Public Radio, getting voters to support “Proposition P” is no easy feat. With the sales tax rate nearing 12% in some parts of the city, and the current climate towards law enforcement, it’s a tough sell. St. Louis Mayor Lyda Krewson has supported the tax increase so officers can get a raise. Despite that, a half-cent tax increase was voted up by St. Louis residents last April. The goal is to get the St. Louis Metropolitan P.D. on a par with the higher salaries of their colleagues at the St. Louis County Police Department. 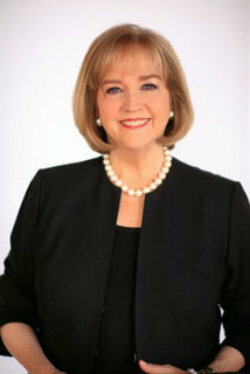 Mayor Lyda Krewson has supported the proposition. Supporters of Proposition P have spent over $300,000 in advertising in an effort to garner “yes” votes. However, opposition is coming from all sides. According to JP Johnson, a strategist with the St. Louis Police Officers Association, protesters have legitimate concerns. “I think what they want to see is our public institutions respond to reforms that might make their lives better. And that’s a conversation we should have independent of whether someone gets a raise,” he said. John Chasnoff, a co-chair of the Coalition Against Police Crimes and Repression, feels for the good officers who wouldn’t get a raise if Proposition P fails.